Hi everyone! Today I've got one of my new favourite designs to show you. I recently received these pastel studs to review for Born Pretty Store, and decided to do some pastel-themed nail art to match. As you can see, I went with roses! 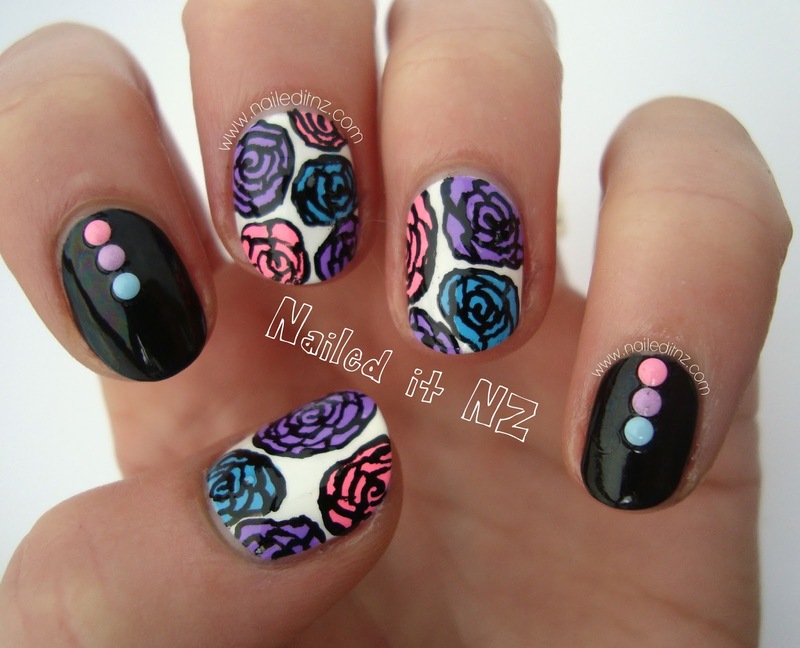 I've only done roses like this once before - it does take a while but I love the finished look. These studs are just gorgeous! I never imagined having studs in colours beyond the basic gold and silver, but these are adorable! They're very small, too - just 2mm across. 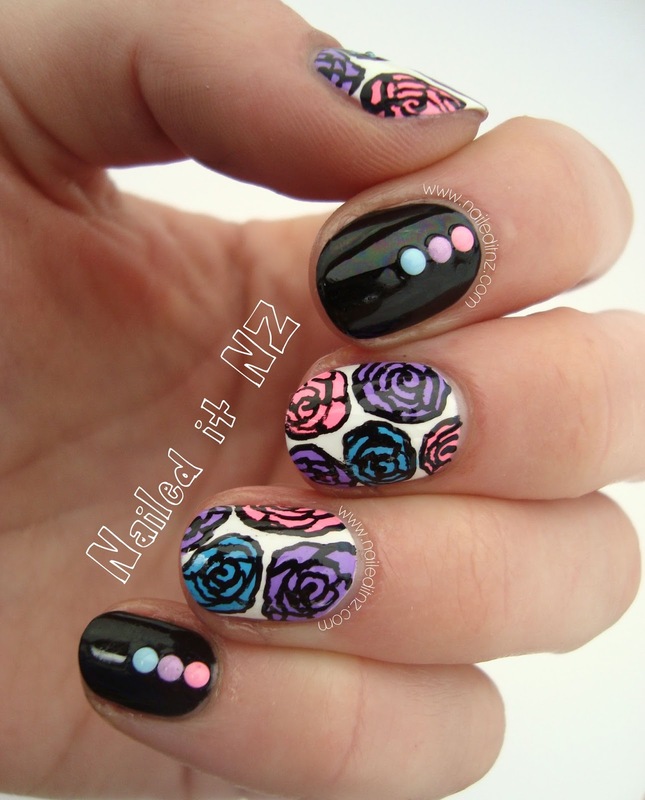 I prefer this; the big flat ones don't sit well on the natural rounded nail surface and come off easily. Here's the container it came in - bear in mine that it's fairly small - not the old big ones BPS has. Without having a ruler handy to check, it looks to be about 7-8cm across. It still fits 400 studs inside, which is heaaaps and to be honest, the containers are easier to store when they're smaller. As you can see below, the colours are purple, peach, blue, pink, green and yellow. There are circle studs and square studs of each colour. All of the colours are a little brighter than in the photos, by the way. They're quite flat for studs, too. This is great, as it minimises the risk of bumping them into things and them falling off. They're still about a millimetre (at the highest part) above my polish, but it's a comfortable height. 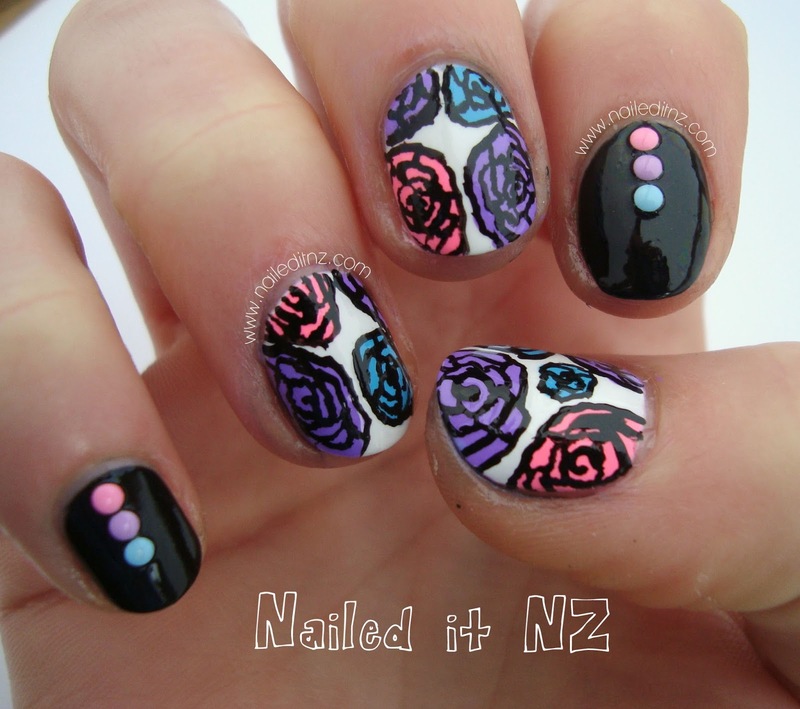 None of this crazy 3D nail art! Also - I was just checking the product page for this and apparently they glow in the dark too! I'll have to check that out tonight. I even managed to do the other hand! It was definitely a bit harder and didn't turn out as good as the left hand, but I'm still happy with it. Slow and steady wins the race, right? Want to snag yourself some of these gorgeous little studs? For $7.59 US (free shipping too!) 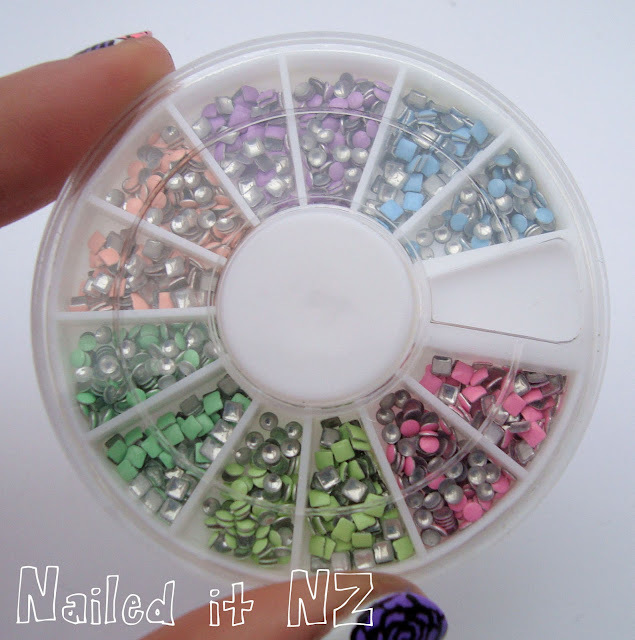 you can get this container of 400 pastel studs. They are honestly such a cute addition to my collection - I've reviewed plenty of things from Born Pretty and these is one of my all-time favourites. Use the above coupon for 10% off, bringing them down to $6.83 :). 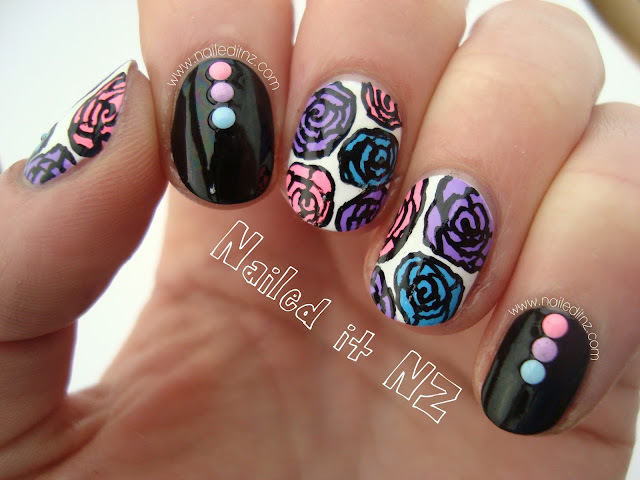 Hope you like my pastel rose nail art design! This is a beautiful design! These are gorgeous, such good colour choices!